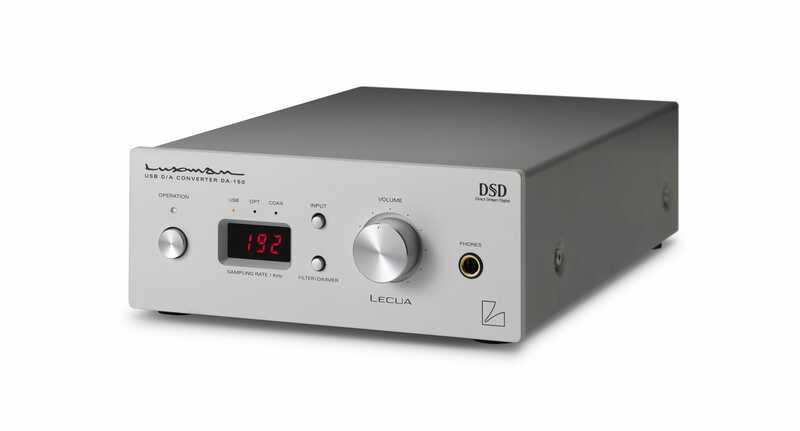 Luxman does high-resolution DSD5.6MHz and 32-bit/192kHz PCM to thrilling impact on the Japan-built DA-150 DAC/headphone amplifier. Grab hold of the proprietary LECUA volume control that operates in the analog domain and feel what it’s like to get lost within the music. The powerful headphone amplifier, complete with discrete buffer circuitry, will aid your journey. 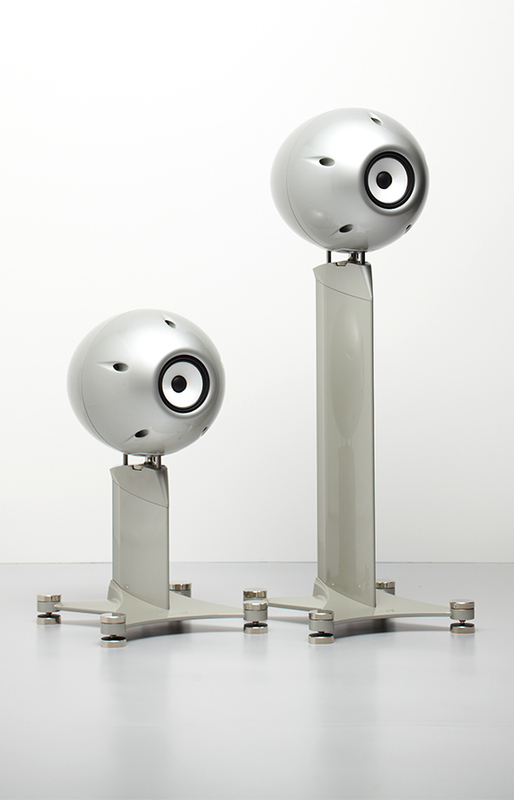 Loaded with first-rate components, an LED display, and a sleek finish, DA-150 provides sensational sonics from a small footprint – and makes for a desktop and computer-audio device of nonpareil worth. 100% Music Direct Guaranteed. 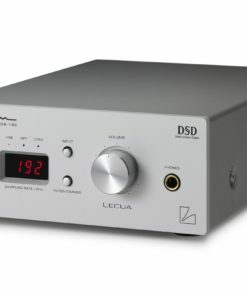 DA-150 uses a Texas Instruments 32-bit PCM1795 DAC chip. 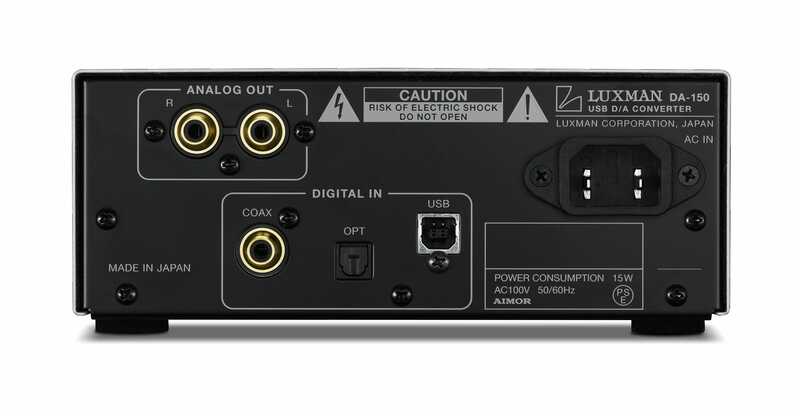 Its USB input is capable of supporting up to 32-bit/192kHz PCM as well as DSD up to 5.64MHz while the S/PDIF input supports up to 24-bit/192kHz PCM. 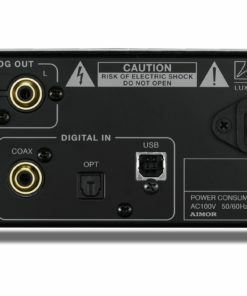 Digital inputs consist of a coaxial line and an optical line plus a USB input. A selectable 32-bit digital filter offers two options for PCM while an analog-selectable FIR filter offers two types of DSD. Low-phase noise-clock modules with high precision and low jitter are independently fitted for the 44.1kHz and 48kHz channels, remarkably reducing the jitter for the USB input through asynchronous communication by embedding a DAIR high-precision clock. 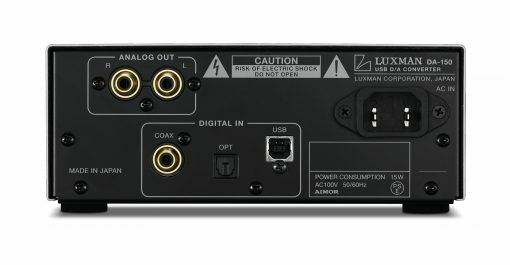 Luxman’s LECUA computerized attenuator, which has never been used before in this product class, enables the sound volume to be adjusted with negligible sound deterioration while minimizing the level deviation at low sound volumes. 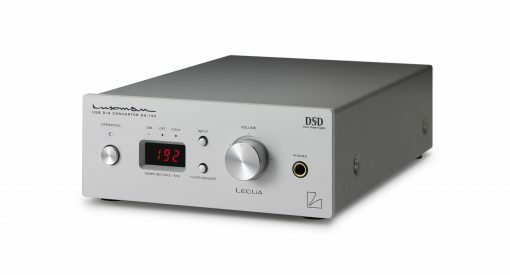 LECUA allows you to easily achieve high-precision, smooth sound volume adjustment. A discrete buffer circuit is added to the headphone output to achieve the optimal drive force for high-end headphones. 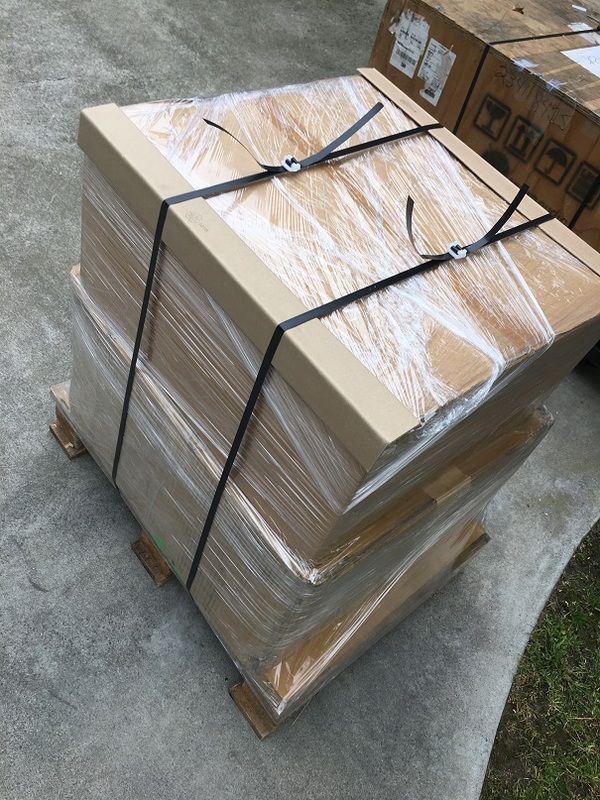 Sound quality is also the priority of the power-supply unit design, in which a high-inertia power-supply environment employs a power transformer with original specifications and regulators with independent, large-capacity block capacitors for each circuit. A highly visible three-digit, seven-segment LED with a dimmer function to display the status is mounted on DA-150’s stylish, blaster-white front panel. Placing the input selector, filter/dimmer selection switch, and the power switch on the front panel speaks to DA-150’s convenience. The USB input terminal, coaxial terminal, and optical terminal are positioned on the rear panel for stability and safety. 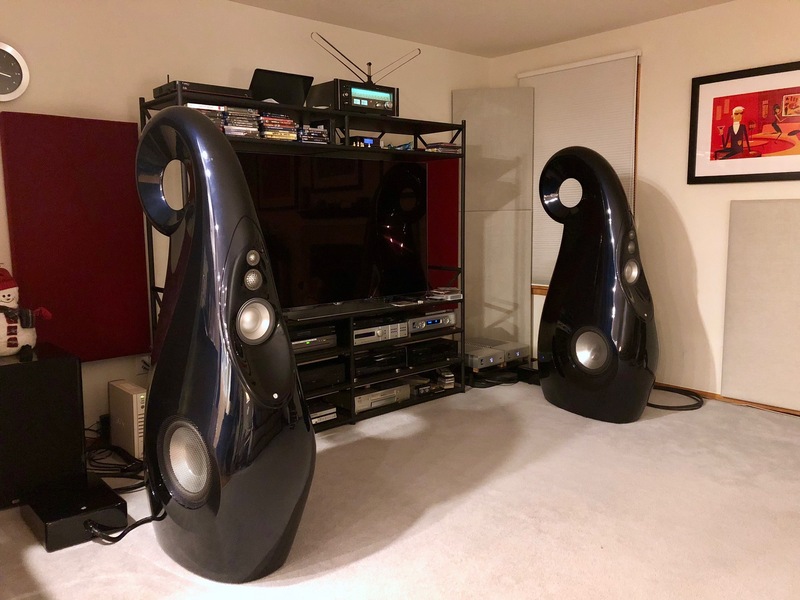 The 18mm gold-plated RCA terminals support high-quality line cable with large plugs.